Major Applewhite, whose 2009 affair with a student while at UT-Austin is part of a discrimination case against his former employer, was announced as the University of Houston's new head football coach. 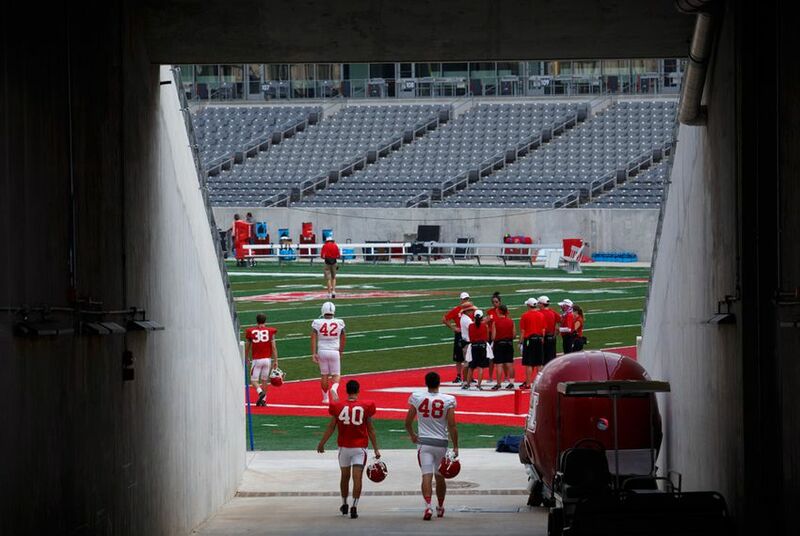 As Major Applewhite takes the reins of the University of Houston's football program, he remains a key part of a discrimination case against a former employer — the University of Texas at Austin. On Friday, UH announced that Applewhite, previously the team's offensive coordinator, would be the new head football coach. In 2013, when Applewhite was an assistant coach at UT-Austin, it was revealed that he had engaged in “inappropriate, consensual behavior with an adult student” during the Fiesta Bowl after the 2008 regular season. Applewhite, who had called his affair “totally inappropriate” and a “one-time occurrence,” was required to attend counseling, and his salary was frozen for the remainder of 2009. He was later promoted to offensive coordinator but left after head coach Mack Brown resigned in 2013. The news didn’t come to light until UT-Austin’s track and field coach, Bev Kearney, was forced to resign in 2013 after admitting she had an affair with one of her track athletes in 2002. Kearney, a black woman, claimed Applewhite received favorable treatment as a white male. She has a lawsuit against UT pending before the Texas Supreme Court. Asked about how the case factored into the University of Houston's coaching search, athletics director Hunter Yurachek said in a statement: "In his tenure at the University of Houston Major Applewhite has demonstrated the utmost integrity and leadership and has served as a positive role model and influence for our student athletes." Kearney's 2002 affair led her to be placed on paid leave, and she resigned in lieu of being fired. Kearney, who worked at the university for 20 years, led Texas' women's track and field team to six national championships. Applewhite was deposed in Kearney's lawsuit, and his testimony and documents related to his discipline have been under court seal since 2014. In a statement Friday on Applewhite's hire, Yurachek said that when they conducted their coaching search, "We wanted a coach with great integrity who believed in our mission and truly believed in our student-athlete experience ... As this process was completed, it was clearly evident the only individual to offer our position to was Major Applewhite and he was indeed the right man to lead our program." Former University of Texas at Austin track coach Beverly Kearney alleges in a lawsuit that her termination last year about discrimination and retaliation, not about the long-term relationship she had with a team member. The University of Texas System regents have called a special meeting to discuss recent coaching scandals at the system's flagship university, the University of Texas at Austin. Disclosure: The University of Houston and the University of Texas at Austin have been financial supporters of The Texas Tribune. A complete list of Tribune donors and sponsors can be viewed here.